How can a developing, democratic and predominantly Muslim country like Indonesia manage its foreign relations, while facing a myriad of security concerns and dilemmas in the increasingly complex post-Cold War international politics, without compromising its national interests and sacrificing its independence? 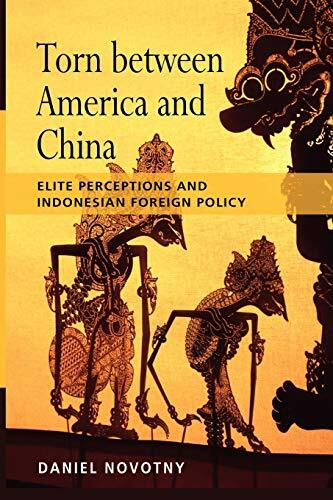 Approaching this problem from the vantage point of the Indonesian foreign policy elite, this book explores the elite's perceptions about other states and the manner in which these shape the decision-making process and determine policy outcomes. The combined qualitative and quantitative research strategy draws on a unique series of in-depth interviews with 45 members of the Indonesian foreign policy elite that included the country's (present and/or former) presidents, cabinet ministers, high-ranking military officers, and senior diplomats. Among all state actors, Indonesian relations with the United States and China are the highest concern of the elite. The leaders believe that, in the future, Indonesia will increasingly have to manoeuvre between the two rival powers. While the United States during George W. Bush's presidency was seen as the main security threat to Indonesia, China is considered the main malign factor in the long run with power capabilities that need to be constrained and counter-balanced.